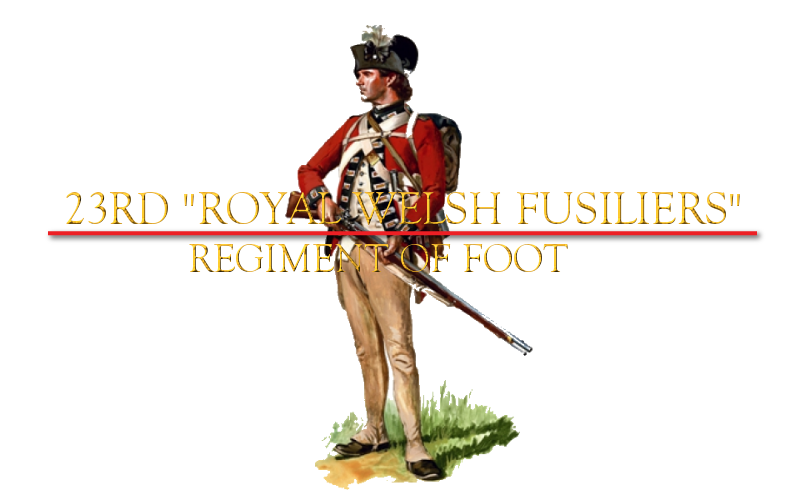 We are the 23rd (Royal Welch Fusiliers) Regiment of Foot and we are one of the few german speaking Regiments in the Mod Whigs & Tories. Most of our Members are active in the M&B:Warband DLC "Napoleonic Wars". We are an experienced group of NW Veterans who want to have some fun in the Whigs & Tories Modification. We don't care about skill, we just want to know how experienced the applicant is. Lieutenant Colonel Speirs or Major Ben on Steam or just fill the application template out and send it in the thread! You can also join our Steam Group. Was du auch noch machen könntest, ist euch in die offizielle Einheitenliste einzutragen, damit man euch offiziell als Teilnehmer anerkennen kann. Updated the Thread a little bid. "About Us" is completed and we opened an international, english speaking company. We also will use historical names in the future. Roster will be updated soon. If you want to join the Regiment, then just add one of the Staff members on Steam or fill the application template out. If there are any grammatical mistakes, i apologize for that. Just send me a pm with the correction.